Vegas Jewelry Week 2018 is coming at the end of the month. 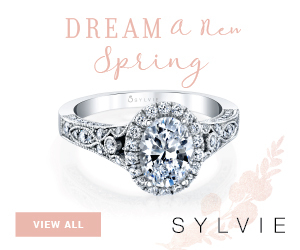 As we get closer to packing our bags to discover all the new and exciting engagement ring styles designers have created, we love to get spoiled with previews… Most of the designers featured in this post will exhibit during Jewelry Week and we can’t wait to see the rings live, not just pictures! 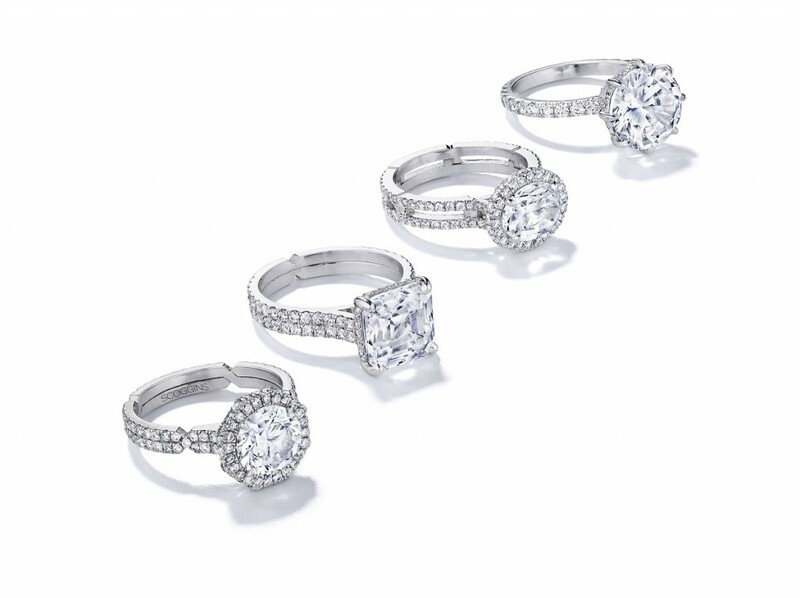 Coast Diamond is a brand you need to know if you are looking for an engagement ring with a halo. They offer an array of shapes and styles designed to enhance the size and beauty of your center stone. 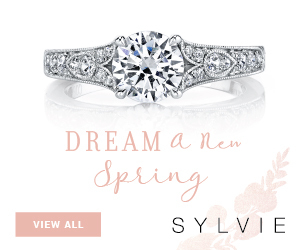 This season, they are introducing new solitaires and bands that are dainty and super feminine. 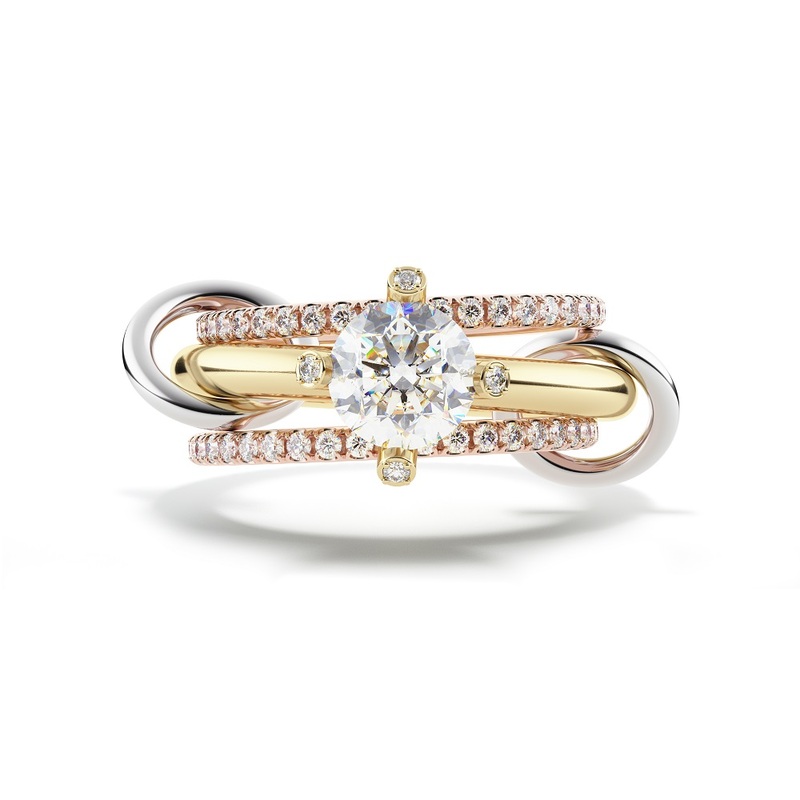 The bands can be mixed, matched or collected to build a versatile wedding stack. I just love designers who manage to balance paying homage to elements of the past while improving settings that might not be wearable as is by most women of our era. Jessica McCormack is based in London. She is the creator of a stunning and very popular signature button back setting which reminds us of the traditional Georgian clawed collet setting. Her take looks so fresh, beautiful and modern while holding center stones of different shape and sizes securely. If you can’t make it to London, you can purchase her bridal line on line or work with her and her team on a bespoke project remotely. Julie Romanenko, designer of Just Jules, is a free spirit when it comes to designing bridal jewelry. We always love her bohemian flair with a touch of Deco. This new ring design which has just been added to her Commitments collection mixes an emerald cut center with kite shaped diamonds and rounds. 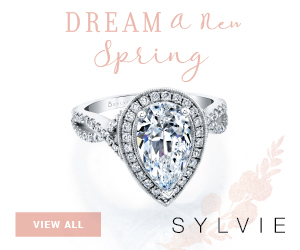 A five stone ring is breaking the rules of what an engagement ring should be yet it looks stunning. We stopped by Lindsey Scoggins‘ new studio in the New York jewelry district. It is a stylish and intimate oasis in the middle of this neighborhood’s madness and she has a champagne bar! 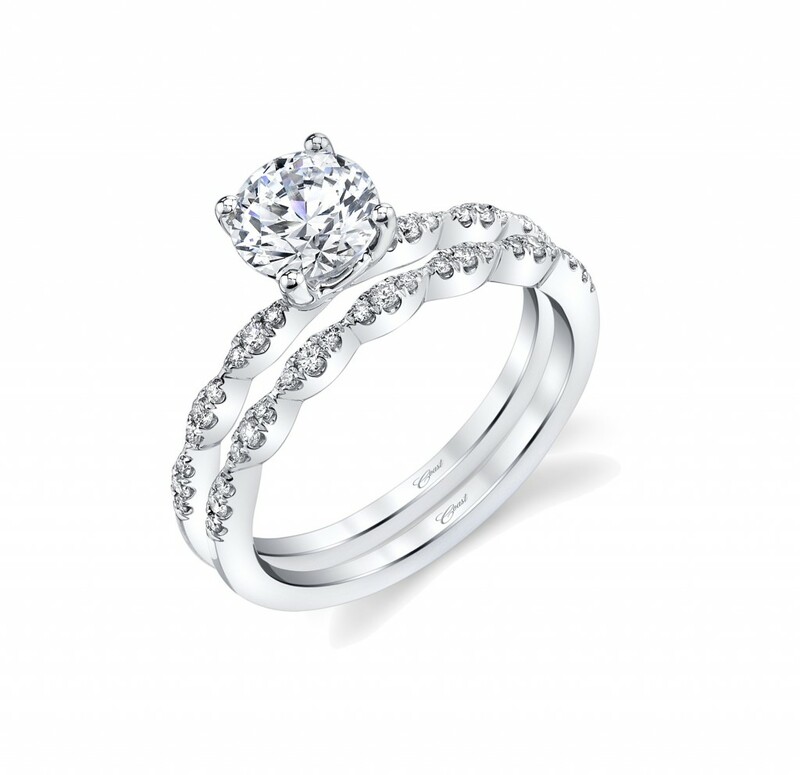 Her bridal collection includes stunning platinum designs such as her diamond links collection or 8 prong solitaire pictured above. They are also available in gold. We love how Lindsey adds edgy geometric design elements yet all her rings look like future heirlooms. 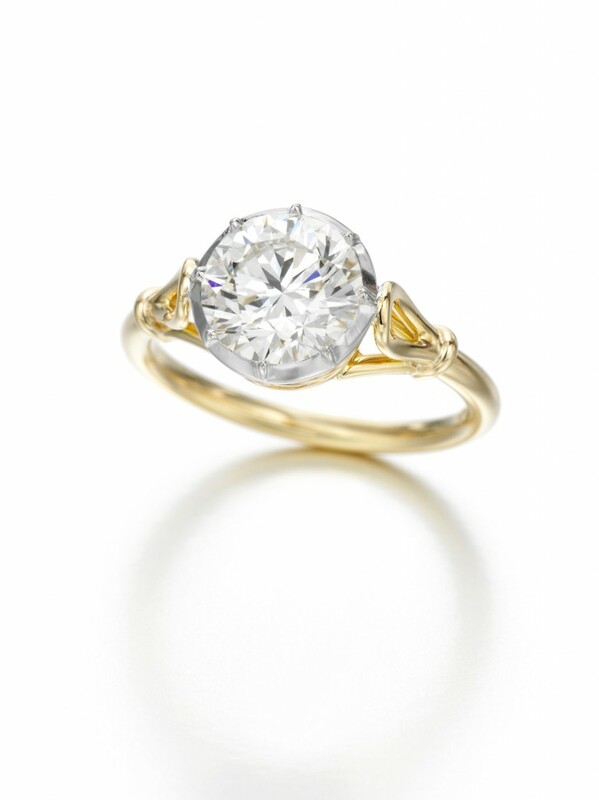 She can also design a custom ring for you in New York or remotely, and will advise you on picking the right diamond. 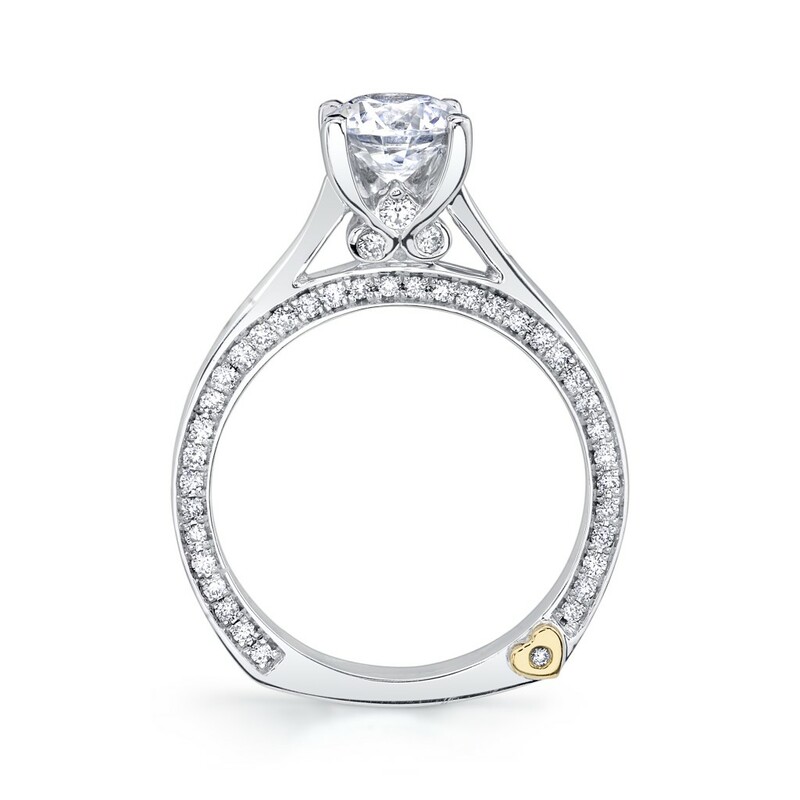 Mark Schneider has never designed a boring ring! I love the side details on this new style with a Euro shank. As the wearer of an engagement ring, you will see the side of your ring even more than the top. Why not pick a design with some surprises? For those who might not know, a Euro shank is when the band part of a ring is flattened at the bottom. It prevents the ring from turning as much as a classic circular band. I hope you did not miss our Facebook live at Sholdt‘s Seattle atelier and showroom. Every ring they manufacture is made there in an old Brewery. 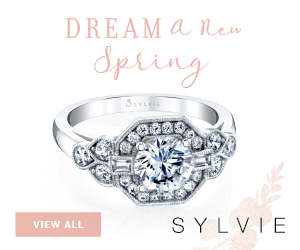 I am excited to see this new ring live soon, a lovely 3-stone two tone engagement ring ring. Each of the diamonds is bezel set with milgrain details. 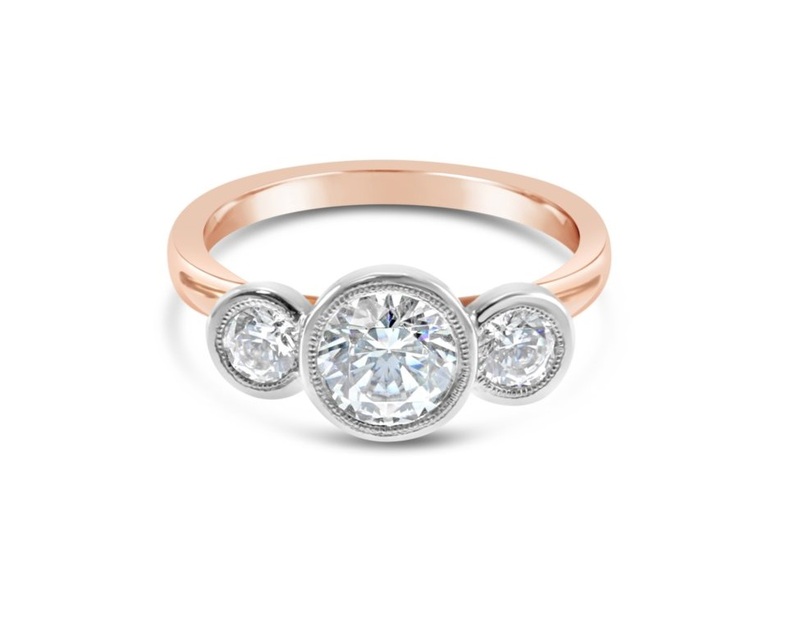 Spinelli Kilcollin is adding new designs to their bridal offering. If you have already started collecting their bands, you can add one of their new engagement rings or have one customized by them, just for you. Down the line, when you get to what to pick for your wedding band, make sure to try on their new baguette bands. I can’t wait to see them live at the Couture Show in Vegas, they look fantastic. We will report live from Vegas Jewelry week from May 31 to June 4 on Instagram, make sure you follow our page and stories. 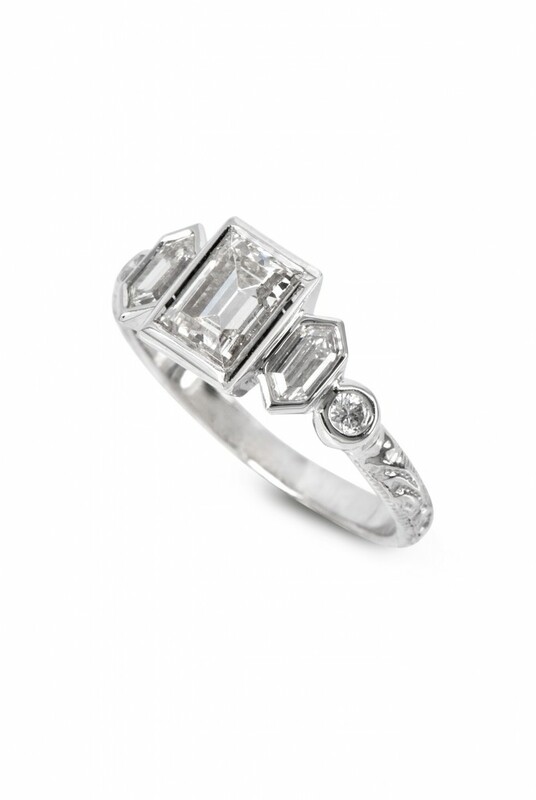 How Many Carats is this Emerald Cut Diamond?